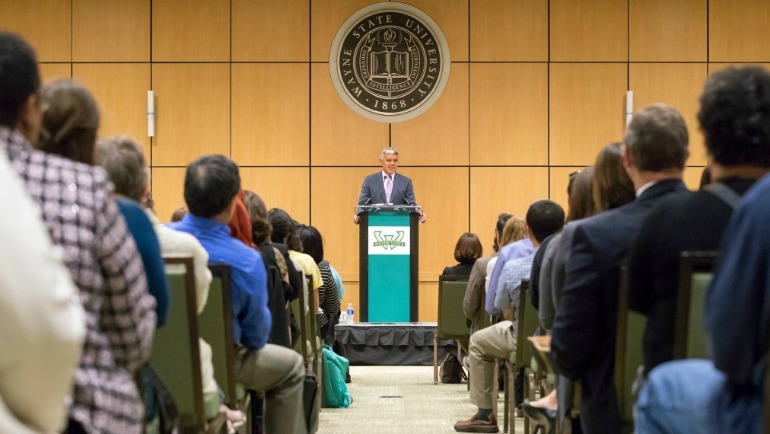 Wayne State University President M. Roy Wilson will provide an update to the campus community on progress made toward the 2016-2021 Distinctively Wayne State strategic plan. President Wilson will discuss the university’s enrollment, graduation rates, student success, research and other topics. By 2021, Distinctively Wayne State will result in a thriving institution known for academic and research excellence where every student has a clear pathway to success and the opportunity to flourish in a diverse, collaborative and innovative environment.